Pictured, Noah Lee FIT student. Screenshot. 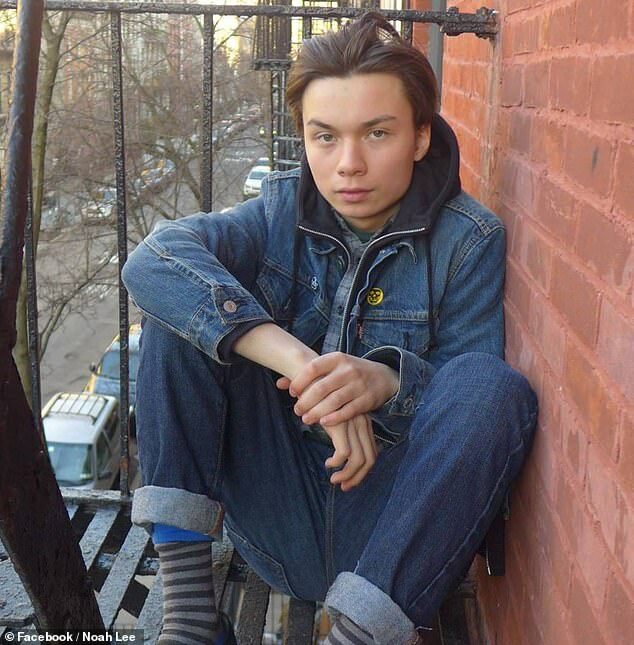 Noah Lee FIT student charged with terrorism after sharing Instagram post threatening to shoot the fashion school up. Pandemonium as video goes viral. A 22-year-old man has been charged in a shooting scare at the Fashion Institute of Technology in New York City. 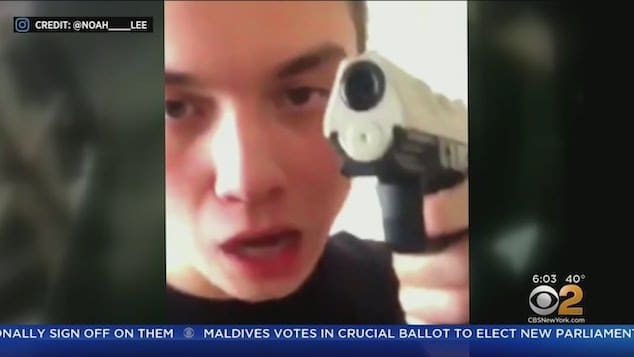 Noah Lee, a student at FIT posted a video to Instagram on Friday waving what appeared to be a handgun to the camera. Media reports revealed the video having been recorded at FIT, but when remained unclear. In response to the video which began to be widely circulated, FIT issued a ‘shelter in place’ warning to all students and teachers from about 6pm to 7pm. Noah Lee FIT student: Uploaded video to social media after having left school. Police found Lee an hour-and-a-half later at a Barnes & Noble book store one mile away near Union Square. They recovered a pellet gun and a gas mask. Investigators believe Lee filmed the video at FIT, but left the school and subsequently posted the video on the street en route to the bookstore. ‘Excellent Teamwork tonight by @NYPDPSA4, @NYPDSpecialops @NYPDPBMS, @NYPDCT @NYPDDetectives, and all the Tenth Precinct first responders for investigating and apprehending an individual who made threats with this pellet gun,’ the NYPD 10th Precinct tweeted. ‘My roommate and I were freaking out,’ FIT sophomore Kayla Cariffe, who hid in the dining hall, told via the nypost. Lee has since been booked with two counts of terrorism, two counts of criminal possession of a weapon and one count of criminal possession of a firearm. It wasn’t immediately clear what prompted the student to film the virtual ‘terror’ scene and share it on social media. Noah Lee FIT student. Image via Facebook.